I was in the kitchen - doing the usual - emptying the dishwasher, prepping dinner, putting shopping away etc. etc. The kids were watching television and, as is her way, La-la had it tuned to some nature programme. I was vaguely aware of its contents hearing various references to dugongs and turtles. Now, the Dude loves nature and is very respectful of the environment but by and large he would rather be watching a programme with turtles of the ninja variety. Therefore I was waiting for his inevitable appearance in the kitchen to lodge his usual complaint about his sister watching "them nature programmes" again! I didn't have to wait long. Five minutes later he appeared before me but this time, instead of launching into complaint mode, he asked me a question. "Yes," he replied, somewhat impatiently, "what does it mean?" I wondered where this had come from and concluded it must be something he had seen on the T.V. 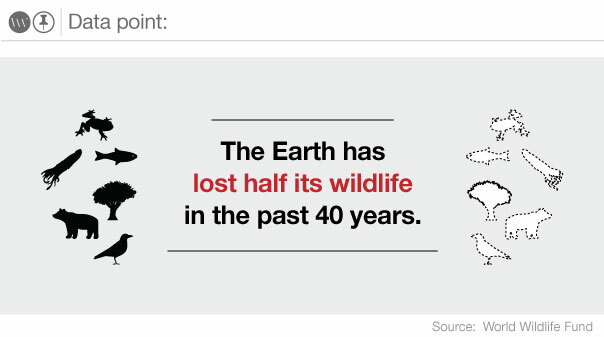 "It means when there is no more of something on the planet, like no more of a certain creature." His little face creased into a frown. "What do you mean no more? Like none at all? Not even one?" "Yes," I answered, "not even one." His eyes teared up and he looked stricken. "You mean," he choked out past the lump in his throat, "you mean there won't be any turtles left?" I was at a loss for words and caught completely off guard by the extent to which he was upset. "Well, I'm not sure what the exact story is with the turtles," I started to explain, "but..."
I didn't get any further before he exploded at me, "but the guy on Bushwhacked just said they are in danger of becoming extinct!" I was silent. I didn't know what to say. A tear slid down my son's face. "Why?" he cried, "Why? Why are we killing the turtles and their friends the dugongs?" I stood there looking at my son and I didn't have an answer because I have no bloody idea why we are killing the turtles and their friends the dugongs. I was under the impression that things were improving. I thought we were turning this situation around. 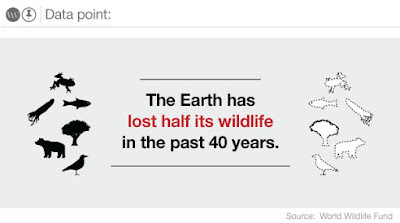 I thought there had been a collective cottoning on as to the fact that instead of destroying this planet and all the creatures on it, we've got to start saving it. I stood there in the face of the Dude's anger and confusion and I said, "I don't know. I don't know why so many of the turtles are still being killed. All I know is that there are many people trying to save them and protect them and those people are doing great work." Somewhat mollified, the Dude considered my response before coming to his conclusion, whereupon he looked at me and stated, "well they need to do a lot more, because we need them to not get extinct!" With that he turned around and headed back to his position in front of the T.V. Critically Endangered: Species is considered to be facing an extremely high risk of extinction in the wild. 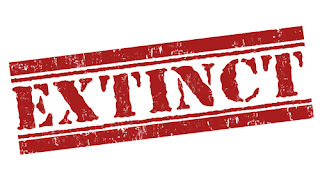 Endangered: Species is considered to be facing a very high risk of extinction in the wild. Vulnerable: Species is considered to be facing a high risk of extinction in the wild. I'd no idea things were this bad! So what can we do? Sadly, there's not a lot we, as individuals, can do about more traditional societies in Asia and Central America who eat both the eggs and the meat of the adult turtles but turtle conservancy groups are doing what they can to change these practices and have experienced some measure of success. The same goes for the illegal turtle-shell trade and the effects of commercial fishing. We, however, can clean up our act! "It is estimated that more than 100 million marine animals are killed each year due to plastic debris in the ocean. More than 80% of this plastic comes from land. It washes out from our beaches and streets. It travels through storm drains into streams and rivers. It flies away from landfills into our seas. As a result, thousands of sea turtles accidentally swallow these plastics, mistaking them for food. Leatherbacks especially, cannot distinguish between floating jellyfish - a main component of their diet - and floating plastic bags. Most of the debris is recognizable: plastic bags, balloons, bottles, degraded buoys, plastic packaging, and food wrappers. Some plastics aren't so easy to see, so small, in fact, that it is invisible to the naked eye. If sea turtles ingest these particles, they can become sick or even starve." Imagine if we just got rid of plastic bags - what a difference this could make! Coastal erosion, marine pollution, oil spills and coastal development are all areas being dealt with by turtle conservancy groups - who need our support. However, another area where we as individuals can make a difference is to keep our vehicles off the beaches! "Tyre ruts left by vehicles can extend the time it takes a hatchling to reach the ocean and increase their chance of being caught by a predator. Driving during the day can cause sand compaction above nests resulting in lower nest success. Additionally, beach driving contributes to erosion, especially during high tides or on narrow beaches. Night time driving can disturb nesting females, disorient emerging hatchlings, and crush hatchlings attempting to reach the ocean. " - Sea Turtle Conservancy. Also, we can burst our balloons! Yes, you read that correctly. This was one that surprised me but the air-filled spherical rubber accompaniments to most human celebrations is yet another threat to the turtles. When released into the air they don't stay there - most of them eventually end up in the ocean where the turtles mistake them for food. So burst them or deflate them and take them home because I don't think any of us will be celebrating the day there are no more of these beautiful and wonderful creatures left on our planet.